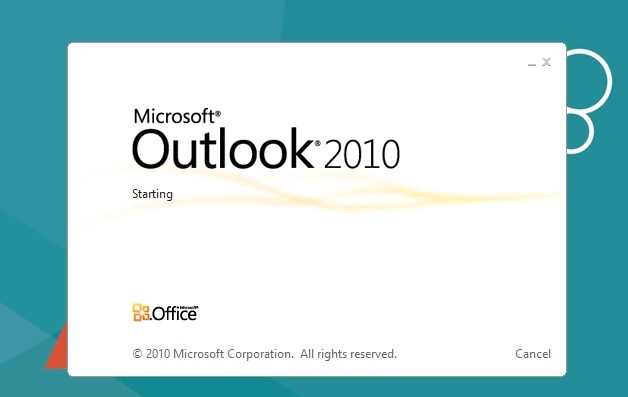 Outlook sits on "loading" screen forever! Throughout the business world, you find Outlook to be almost ubiquitous as far as mail clients are concerned. The problem is, even though it has evolved, at it’s core, it’s the same chunk of 15 year old code that was included in Office ’97, and some might even argue the DOS versions of Outlook! You’d be hard pressed to find something different that is widely supported, but Outlook has had its growing pains. So what do you do when it’s won’t open? Here’s one tip. WHY IS THIS HAPPENING: It’s very likely that your “local copy” of your mailbox has become corrupt. 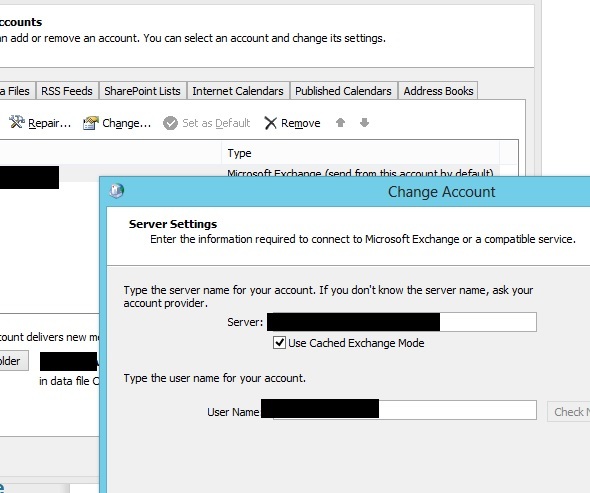 If you use Exchange for your email, and you are in Cached Exchange Mode, it means that your computer keeps a local copy of your mail and only synchronizes the changes since it has last been opened – rather than re-downloading your entire mailbox every time you open Outlook. Somehow (we won’t go into details, suffice to say “it happens from time to time”), your local copy has become corrupted. Click Start, then Control Panel (if you’re using Windows XP, click SETTINGS then Control Panel). Find or search for “Mail” and open that. Click “E-Mail Accounts” at the top. Highlight your email account and click Change, just below the row of tabs. At this point it should open, and begin syncing mail. Close Outlook (you don’t have to wait for it to complete the sync process). Re-Enable Cached Exchange Mode by following steps 1-3 again. Click the “Data Files” tab at the top. Highlight your default mailbox (the one with the check mark to the left). Click “Open Location” below the tabs. Click back to the Email Tab. Open Outlook. Everything SHOULD be working! This time, it should rebuild the OST from scratch – since it won’t be able to find the old OST file. Depending on how much mail you have, this process can take several hours – but it will download “Inbox” then work it’s way to other folders, and you’ll be able to send and receive new mail while it works. Next week, we’ll talk about what to do when Outlook freezes up before you can open a single email!